A bottle of bubbly is just what you need to celebrate any occasion. 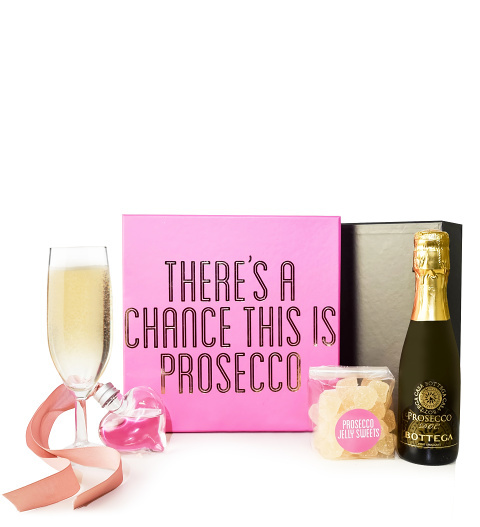 Birthdays, anniversaries, congratulations, and all other celebrations are made that much sweeter with this bubbly Prosecco gift. Spoil your friends, loved ones, or anyone you wish to pamper with a gift that will certainly stand out. Casa Bottega Prosecco 20cl alc. 11% vol. Allergy Advice: This gift may not be suitable for customers with an allergy to nuts as some products were made in a factory which uses these ingredients.